We need to use coaxial cables in our homes or office for various video and audio installations. It also has widespread commercial use in the telecommunication, cable TV, and internet industry. Whether you are looking to use a coaxial cable for your home or want to make commercial installations, it is a good thing to know what you are dealing with. Click here to learn about our coaxial cable customization service. If you want to dig into the coaxial cable, I think you can keep reading this guide. Let’s start. Chapter 1: What Is A Coaxial Cable? Chapter 3: How To Splice Coaxial Cables? 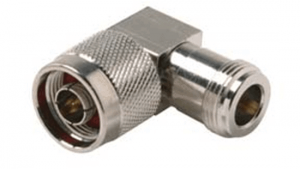 Coaxial cables are used to transmit video, audio and voice signals by telecommunication, internet, and cable TV providers use coaxial cables to transmit video, audio and voice signals. It is also widely used in homes to connect DVD players, speakers, digital cable set-top boxes and similar applications. The specialty of the coax cable is that it can ward off external interferences and transmit a strong signal without loss of quality. The wires have a central metal core, generally made from copper and an outer insulating layer.Over it, a layer of conductive shielding made of foil or copper mesh is applied, and then another external insulation is provided. Now let’s explore the different types of coaxial cables and their application. The digital coaxial cable is similar to RCA connector in looks, but it carries digital signals instead of analog ones. The thickness of the digital coaxial cable is higher than ordinary connecting wires because it comes with shielded foil or mesh to shield the interference of signals.The cables also have a higher bandwidth so that it can carry the digital signals efficiently. You may not be able to tell the difference between a standard cable and the digital coaxial cable just by looking so better enquire what you are buying. Coaxial digital audio cable is necessary to connect two audio sources. You can connect your laptop or computer to the amplifier and transmit digital audio signals between the two devices. There is a male RC jack fitted at both ends of the cable. You can connect the cable to the sources on either side. Unlike analog audio cables, only one wire is needed to carry the audio signal in coaxial cables. Generally, coaxial digital audio cables come with a rating of 75 ohms so that it can transfer the signals efficiently. The end of the cable might be color-coded in orange or black for convenience. You should use a digital coaxial cable for your audio needs as RCA cables suffer from loss of quality as the length increases and absence of shielding. That being said, coaxial digital audio cables are a bit more expensive than RCA cables but worth it! 75-ohm coaxial cables have an impedance of 75 ohms. Ohm is used to measuring resistance which is generated by the flow of electrical signals inside a circuit.When we are transferring DC through the circuit ohm is used to measure the strength. However, in the case of AC, ohm represents the impedance. 75 ohm and 50-ohm coaxial cables are used for standard applications and are used as industry standards. 75-ohm coaxial wires are ideal for sending signals through the cable effectively without losing the signal strength during the process.The cable is commonly used to connect cable TV receiver boxes, satellite TV, FM/AM radio receivers, high definition TVs and police scanners. You can also find the 75 ohm cable in case of coaxial digital audio cables.The capacitance and low attenuation also makes it ideal for any kind of digital video, digital audio and data signals. 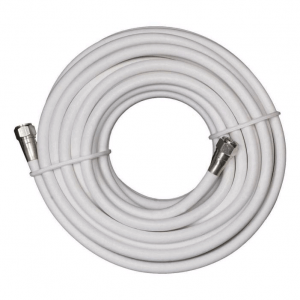 The white coaxial cables come under the purview of RG6 category. It is equipped with a thick conductor and comes with a larger dielectric. You can also find better quality of braid and foil in the cable for effective transmission of signals. White coaxial cables are used as the industry standard for internet, satellite and cable TV. You can also achieve a better result in appearance as white color of the wire easily blends in with your interior décor or wall colors. It also produces less remarkable results when wired around trims or ceilings. You can use the TV coaxial cables to connect TVs, satellite dishes and VCRs and current RF aerials. 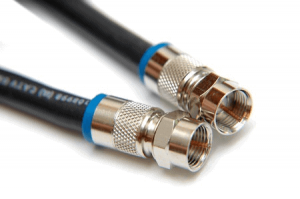 The coax cables come either as male to male connectors or male to female connectors.You should check out the type of connections your TV and cable boxes have to decide which one you need. Generally, the TV coaxial cables will have an impedance of 75-ohm for better signal transmission. The connectors are gold plated or silver plated in a bid to improve the quality of transmission.The length of the cables is usually short and you the regular TV coaxial cables are 10 meters long. Coaxial audio cables are used to establish audio connections between two sources such as DVD or CD players, media players or turntables and speakers and amplifiers. Coaxial audio wires transmit digital signals from one source to another. The cables are generally hardwired and use copper wire with a shield around it. They are quite durable, and both ends are fitted with RCA jacks for connection. Usually, the audio coaxial cables are short in length to maximize the signal strength and start to lose signal as the distance increases. The RG6 coaxial cable is required for a wide range of commercial and residential purposes.The term RG6 is applied to different types of coaxial cables which differ in the composition of the internal conductor, shielding material, and kind of dielectric. This kind of cable is derived from military use which refers to Radio Guide. 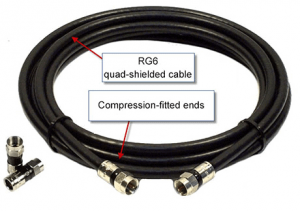 The six is used for covering to the sixth page of the guide where the information was located.The term RG is obsolete and used to refer to coaxial cables with 75-ohm impedance and 18 AWG center. You can find the most common use of the wire for cable TV installations. The wire can be used to route and distribute cable signals to home and within it. 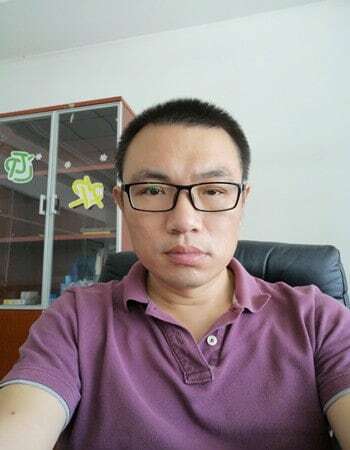 And it has been chosen as an industry standard for cable TV connections taking the place of RG59 cables in the recent past. 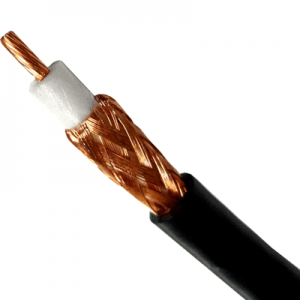 Generally, the cable has a steel center conductor coated with copper and features aluminum braids or foil with around 60% coverage. 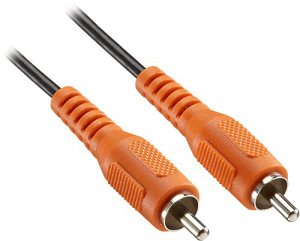 The cable is also used for professional video applications. 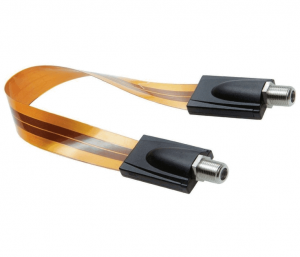 The conductor is generally made of solid copper and features a heavy shielding of up to 95% with aluminum foil or copper braids.The cables can transmit a serial digital interface (SDI) signals or baseband analog video signals. The tolerance of the cables is heavily controlled to enhance the stability of impedance.The wires have a different type of connectors fitted at both ends, and you need to choose them based on your purpose. They can have BNC connectors, F connector and also RCA plugs. It is also suitable for CCTV connections and have heavy shielding. You may need a 100 ft coaxial cable for commercial use or at home depending upon your purpose.can be used for a wide range of audio and video applications are come with different connectors for greater versatility. The cables are made durable with strong shielding so that they can resist wear and tear. You can use them to connect yours over the air satellite dish with your TV or for distributing cable TV connection between different rooms in your home. The conductor is also made of copper so that signal is carried on effectively without significant loss. You can use a flat coaxial cable instead of the round shaped one for specific purposes around your home or office.The different types of coaxial cables may come in flat shape whether they are RG6 cables or digital audio cables. You can use the flat cables if you don’t want to drill holes in the wall. They are also convenient when you place them under your window sash or the door jamb. You can find different connectors fitted at the ends for various applications. Today the cable TV industry uses two types of coaxial wires in most installations.The most popular choice is the RG6 coaxial cables which are used commonly in homes to connect cable TV receiver boxes with televisions and the main line. You can also use the 75-ohm coaxial cables for cable TV installations as it is the industry standard. The two types of coaxial cables are also ideal for connecting satellite dishes with television sets. You can use any of the wires for video installations. Now that you have got to know about the different types of coaxial cables let’s take a look at how to set them up in the next chapter. It looks like you have gathered the required tools. Now let’s take a look how to go about splicing your coax cable. Insert the terminated end into the coax cable stripper. Ensure that the end of your wire aligns with the guide on the stripper tool. If you don’t align it with the guide, then the lengths of coaxial cables being spliced will not be uniform. Now rotate the cable stripper around the cable for few times and check to see if it is done.Remove the stripper tool and slowly pull off the end of the cable from the cut. You will be able to see the inner conductor in the center of the wire. Fold the wire mesh or foil around the edge so that they don’t interfere with the core. Make sure to hold all the wires or mesh as any left dangling will interrupt the signal transmission and quality. Repeat the process with the other end of the coaxial cable too. Insert the compression connectors over the insulated edge and ensure the metal core is not damaged.The metal core should be sticking out of the connector once it is placed. Insert the other compression connector carefully in the same way on the other end of the coaxial cable. Keep the compression connector in place and put it inside the compression tool. Now apply enough pressure to crimp the ends of the connectors. Do the same thing with the other connector at the other end of the cable. Insert both ends of the coaxial cable in the barrel connector so that the metal core enters the female jacks on both ends. Push the collar of your cable connector tightly in the barrel connector to get over with your job. You can install coaxial cable signal boosters which enhance the quality of the signal transmitted by the cables. The amplifiers can be used for your TV to antenna connection, satellite dish connection and for improving cable TV distribution in your home. There are different types of amplifiers available, so you should check whether it is compatible with your installation before purchasing. 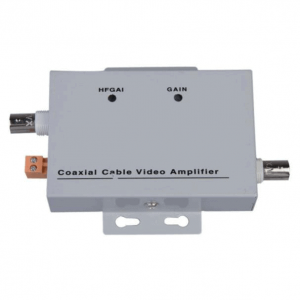 Coaxial cable splitters are small connecting devices that have a single input and several outputs.For example, you can connect the cable line into the splitter and connect multiple television sets using the outputs. Generally, you can buy two-way cable splitters and four-way cable splitters from your electrical store. Coaxial cables may not be compatible with modern high definition TV sets equipped with an HDMI port. You have to use a six-sided plug to fit in the input. However, you can convert coaxial cable to HDMI by using a powered adapter available in electronic stores. You have to connect the coaxial cable carrying the signal in one port and the HDMI cable to the other port. 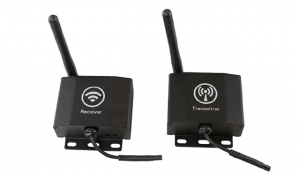 You can get a wireless transmitter for your coax cable for distributing TV signals. Generally, it comes with a receiver and wireless transmitter along with a power adapter. We have to connect the cable TV into the receiver box while the TV will be plugged into the receiver. This way you can transmit the TV signals wirelessly. Now that you have a good idea about how to splice your coax cable and use different tools, so let’s increase your knowledge on the subject a bit! 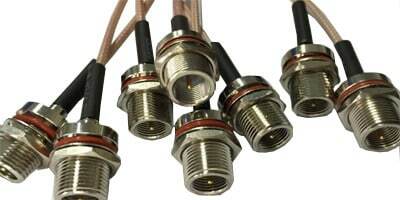 RG6 coaxial cables are the best and industry standard for home and commercial use. They have a high dielectric with a thick conductor and come with improved mesh and foil. You can also go for the quad-shielded RG6 coax cables which have extra coatings of foil and mesh to prevent any outside interference. These are suitable for homes located near police stations, fire departments, TV stations, and airports. 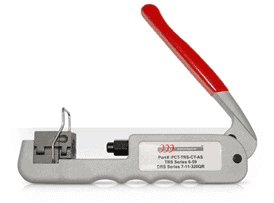 RG6 is also the best choice for cable internet as it has enough protection for active transmission of signals. Coaxial cables are not suitable for bending around corners or sharp angles as it may damage the wire. You can use coaxial cable adapters to prevent such damage. Various adapters are available in the market such as 90-degree adapter which has a male jack at one end and a female connector on the other end. 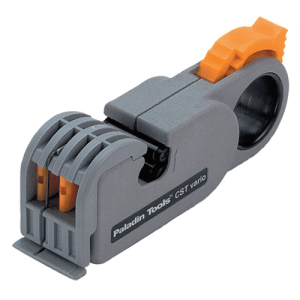 You can insert the coaxial cable ends matching the jack of the adapter and lay your cable without any worries. You can purchase a wide range of coaxial cables from the Target store. The wires are ideal for use at home for internet or cable TV or for connecting other devices. You can also find commercial coaxial cables at Target. Satellite dishes, cable TV or internet installations might need the outdoor use of coaxial cables.Sometimes you will also need to bury the wires underground to make connections. Outdoor coaxial cables are weather resistant, and you can expose them to rain or sun. They are also ideal for underground connections and won’t let moisture in. The cables also feature heavy shielding to prevent any outside interference with the signal transmission. 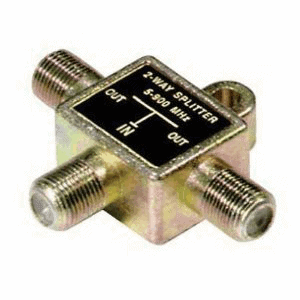 Coaxial cable amplifiers are small devices which boost the signal transmission of your cable TV or internet. You have to put the source cable in one end of the device while the other terms connected to the devices. It can be found in general electronic stores. We have given you a thorough understanding of coaxial cables and how to work with them.Now let’s see where you can buy them along with a few buying tips! We will start off with a few tips on how to buy coaxial cables. RG6 coaxial cableYou can also order custom coaxial cables from us, and we will customize it to meet your needs. We can produce coaxial wires with customizable connectors, shielding, connecting core and other elements. Coaxial cables are standard around the household and also used for commercial purposes. Whatever be your installation type- cable TV, internet, CCTV, other audio video applications- you know which coaxial cable you will need for the purpose. We manufacture high-quality coaxial cables and customize it accurately according to your specifications. Get your coaxial cable from the industry leader.